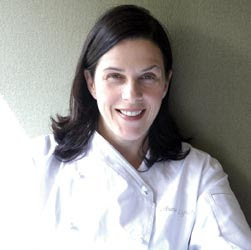 Barbara Lynch's next restaurant, Sportello, is nearing completion and set to open for lunch in the coming days. It's next to her now open lounge Drink on Congress St.
OCTOBER 20, 2008, BOSTON, MA…Sportello, James Beard Award-winning chef Barbara Lynch’s second venture in Boston’s Fort Point neighborhood, is expected to open in mid-November. Sportello (Italian for counter service) will offer a menu of simple, market-driven Italian dishes featuring soups, salads, pastas, and desserts. There will also be a small bakery and retail area to purchase house-made Italian breads and sweets including pane al latte and olive oil polenta cake, freshly prepared grab-and-go sandwiches and salads, and coffee & espresso. A thoughtful selection of pantry staples and treats featuring Christine Ferber jams and house-made chocolate bars will also be available. A modern interpretation of the classic lunch counter, Sportello was designed by Cheryl and Jeffrey Katz of C&J Katz Studios. Reflecting its name, the space is dominated by one serpentine white corian counter with fixed seating for 33; additional handicap-accessible seating is located by the windows overlooking Congress Street. Sportello will initially open in November for lunch Monday through Friday, with dinner service Monday through Saturday beginning in December. Sportello (348 Congress Street) will be located on the first floor of FP3, Berkeley Investments’ Fort Point neighborhood residential project. Sportello follows the October opening of Drink , Chef Lynch’s bar dedicated to the craft of the cocktail, located on the basement level of 348 Congress Street. The third concept to be located in FP3, a fine dining restaurant, is expected to open in spring 2009.